It's the middle decades of the 21st century. 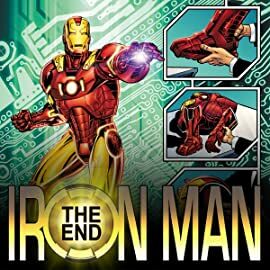 After a lifetime fighting crime, corporate evil and super-powered villainy as Iron Man, industrialist and inventor Tony Stark faces his biggest challenge ever: building the legacy he will leave humankind after he's gone. 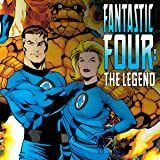 But when his world-changing project comes under attack, Tony must fight espionage and super-villainy once more, perhaps for the final time. THIS IS IT! In a story spanning the history of the MC2 Universe, witness the battle you've been waiting for as Mayday Parker takes on her own clone, April! 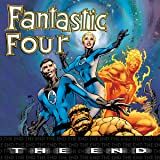 The fate of the Parker family hangs in the balance -- and so does an entire universe! 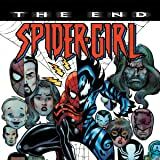 The last stand of the Amazing Spider-Girl is here! When M.O.D.O.K. 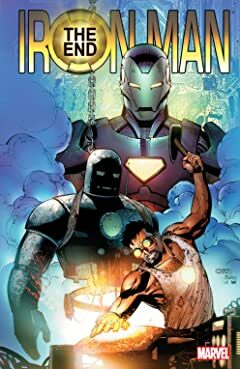 returns, Iron Man and Captain America assemble to take down the big-headed villain. 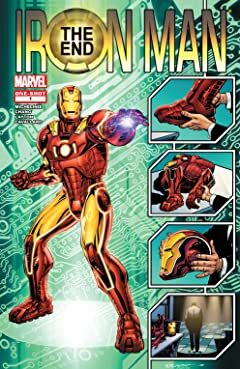 Plus, Iron Man reveals a big secret to those closest to him.